1.10 What is a 6×9 speaker? You should keep in mind that all 6×9 car speakers are not so good. The market is fully loaded with many brands and many types of choice. Find out the best 6×9 Speakers is very important and also very much challenging. So you should know good and bad sides about available speakers, it will help to make a decision. We did much more research that will helps in making a decision. This article helps you to make the decision for purchasing a new pair of best 6×9 car speakers in the world. You need to bring your car completely from the car shop where many speakers systems are available. But if you prefer that you install the software yourself then you can buy it from the online market like Amazon, eBay, Best Buy, etc.You can also get it from a shop near you, as you like best. One thing is clear. These speakers are currently one of the best options for young and adult cars. But all 6×9 car speaker are not fit for every car. Here is a list of top-rated 6×9 speakers, now read and select right one.. If you want to invest a small price for a speaker, the Kenwood KFC-6965S is one of the best 6×9 speakers for your car. Consideration the price of this speaker, You will enjoy good sound. The price is cheap but not sound. You can expect deep bass and highs quality sound from it. But unquestionably you get good sound and your money’s worth out of them. These speakers have 30 – 22,000 Hz Frequency Response that will be able to deliver good audio. So it gives you a new way to enjoy audio when you are on the road. Listening to music and go to long drive with your partner. Another good news that it has 400 watts of peak power per pair / RMS: 45 Watts. With 400 watts peak power makes this speaker more powerful. That’s why you can expect good audio which is above by your factory speaker. The 3-way design produce sound from 3 separate devices (woofer, mid-range, tweeter drivers). Many people choose these Kenwood KFC-6965S for this 3-way design features at this price. 400W Sports Series 6×9″ 3-Way Speakers. Polypropylene is one of the best materials for woofer cone. The polypropylene is highly-damped and they are smoother, It is also not expensive materials. 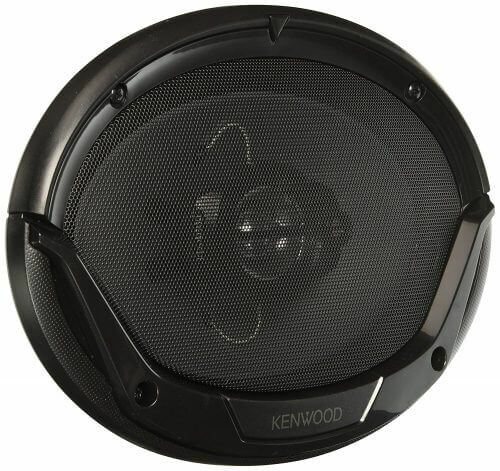 The Kenwood KFC-6965S has Polypropylene woofer cone. I think this is another reason why these prices are cheap. The basket is made of steel, who has excellent thermal conductivity and manages heat efficiently. If you want to invest money for purchasing a speaker for your car. Of course, these are considerable car speakers. But take some time to make a decision which is best for you. Also, you can read reviews from Amazon. There you will get more information about this product. Many people wrote reviews who used that product. According to my research, I can say that Kenwood KFC-6965S 6×9 Inches 3-Way 400W Speakers one of the best in this prices. After many Research and read reviews, the Polk Audio DB691 and Polk Audio DB6501 car speakers are my first choice. You can set up any vehicles audio performance with this speaker. Polk audio design it by latest modern technology that is Cutting edge technology. The Cutting edge technology is most efficient and able to provide great music as you have never heard before. You will want to hear it again and again. The Polk Audio DB691 has Polymer Dome Tweeter and Mica Cone woofer, who will provide smooth roll-off and quick response. It has also rubber surround for increased bass response under any condition. These are a marine certified competition 6×9 speakers, and you will use in many applications. The high-efficiency loudspeaker is included in this speaker. So you will get good quality output in less power. There is no doubt that the Polk Audio DB691 is one of the best speakers. Polk Audio DB691 6-by-9-Inch 3-Way Speakers. 125 Watts RMS Maximum input power. the frequency response of 35-22K Hz. 300 watts peak power per pair. Equipped with one 1-inch liquid-cooled silk polymer composite dome tweeter. Durable butyl rubber surrounds for the stress of extreme temperatures. ABS plastic grills that are packaged with this model. Weighs 5 pounds and size 8 x 14.5 x 4.8 inches. Their amps get small hot and overheat. The Polk Audio DB691 has Silk/Polymer Dome Tweeter and Mica Cone woofer, who allows smooth response and roll-off. The speaker provides clear and lifelike sound because there is silk polymer dome tweeter. 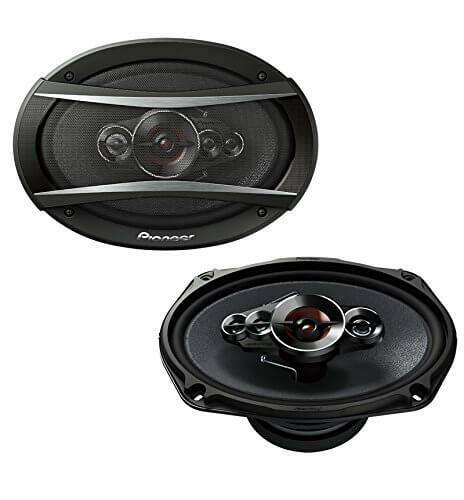 If you want to increase your system volume, the polymer dome tweeter maintains it. So don’t worry about sound quality. These speakers equipped Durable butyl rubber surround for stand up to the stress of temperature. The rubber surround boosts the speaker bass response and increases lifetime. The tonal balance low, mid, high is perfect. It also allows bigger sound and less distortion. You can enjoy your music long hours with the Polk Audio DB691 car speaker. These speakers have stainless steel mounting and dustproof features. That’s why it’s suitable for marine use. Can be used for any application, and it offers a great deal of versatility. You can use it indoor and outdoor environments with the stainless steel design. This speaker also waterproof so don’t worry if they are rained. But don’t submerge into water, Technical Problems may be there. If you want to customize your car audio system, yes you can do it easily. Because there are ABS (Acrylonitrile Butadiene Styrene) features. Who will be able to suit for marine and much industrial application? The Polk audio engineers used this ABS grille for unmatched beauty design. Overall, every car speakers have some good side and bad side. These speakers also have a good and bad side. After all, I can say that the Polk Audio DB691 is one of the 6×9 speakers for car with deep bass. You should consider their sound quality and suited features also easy installation. The latest Polk technology that makes the best choice than others speakers. If you really want to upgrade your audio system, Sure these are the best. So stop searching any others and use the Polk Audio DB691 6-by-9-Inch 3-Way Speakers. Another best 6×9 car speakers are New Kicker 41DSC6934 3-Way Speakers. These are one of the best selling kickers 6×9 car speaker in the market. It has a great design and also a budget-friendly speaker. The authorized Kicker dealer offering superb kicker 6×9 DS693 3-way speakers. The mid and highs of these speakers deliver outstanding sound. If you want to upgrade your car audio system these can be your next choice. New Kicker 41DSC6934 is a great sounding set of the component at an affordable price. These are utilized with a high-tech cone, heavy-duty voice coils. The high-tech cone with heavy-duty voice coils provides an accurate bass response. It has also ribbed surround and Mounting Hardware, Grilles and Speaker Wire (Included). You can easily upgrade your vehicles with mounting hardware, and design also great. The Kicker 41DSC6934 are 6″x9″ 3-Way Coaxial Car Speakers Pair and it has 70 Watts RMS Power; 140 Watts Peak Power, Sensitivity: 92 dB,4 Ohm Impedance. That is enough features on this cheap budget. Arrived fast and installed within an hour! Not very good at high volumes. If your budget is small cheap, but want to great sounding 6×9 car audio speakers. So you can choose these Kicker DS6934 6″x9″ 3-Way Speakers. But if your budget not cheap and you want to get a high-quality product then you can find from the speaker area. If you want to know more information about this Kicker 6×9 car audio speaker you need to go on Amazon. There you find many customer reviews who used these speakers. Of course, you will get the right information about this product. For More than 60 years, JBL produces the world best recording studio, concert venues, movie theaters. I heard that 50% theater use JBL sound system and maximum theater owner are happy. You will get high-end home audio with 1/2-inch (12-millimeter) Mylar-titanium (My-Ti) super tweeter with a large voice coil. The Mylar and titanium make the tweeter lightweight and remarkable strength. And the large voice coil is able to increases power handling and also reduce distortion at high output. you can modify it to optimize the sound because the tweeter is adjustable. Edge-Driven, Mylar-Titanium Tweeter will provide more smooth and detailed sound. You will able to get high-quality audio in midrange frequencies. The JBL GX963 has built-in crossover network with high and low pass filters. For this built-in-crossover, JBL GX963 create a smooth transaction between woofer and tweeter. As a result, you will get natural and lifelike sound in midrange vocal. The JBL GX963 speakers have woofer with JBL plus one cone technology. This JBL plus one cone technology gives more cone surface than others. With a large cone area, give high efficiency and better bass response. These speakers use a low impedance voice coil to extract more power from an amplifier. For the most powerful performance, these speakers use the of any amplifier who providing an optimum 2-ohm load. So you get a JBL loudest 6×9 speakers which have powerful performance and makes your car booming. If you want to install it yourself you can do it easily, because the JBL 6×9 car speaker makes the installing very easy. These JBL GX963 speaker designed as replacements for factory-installed OEM speakers. That’s why you can easily install into nearly any factory built in a location without special tools or additional modifications. You can simply upgrade an older set of aftermarket speakers. You will be able to listen to music for new jbl 6×9 car speakers in no time at all. Plus one cone technology is able to deliver high output and deep bass. 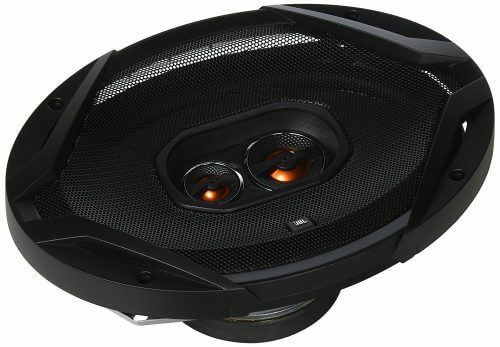 JBL GX963 6×9-Inch 3-Way Speaker is one of the speakers in the market. If you really want to upgrade your car audio that you can pick this speaker. All time I say that if you want to know more information about this 6×9 speaker you need to go Amazon. Here you will get many branded speakers and would be helpful in making a decision. 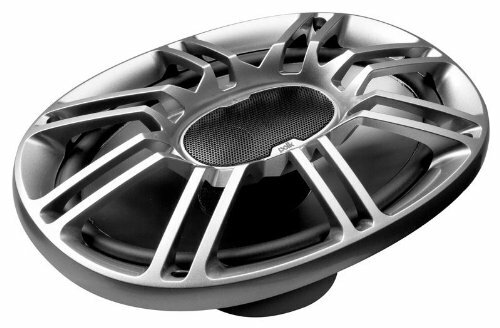 Take time to check the best car speaker for your car. Also, you can check a similar product from this best JBL car speakers list. Another good Car speakers name is Rockford Fosgate P1692 and it’s best to all Rockford Fosgate speakers. Know some words about the Rockford Company. The company has 30 years reputation that they produce a most popular audio product in the world. The Rockford Fosgate engineer designed nice looking and best audio component. Now they are producing a new amplifier, subwoofers, speakers and many more audio devices. The Rockford Fosgate P1692 speaker is waterproof, lightweight. That’s people like these Rockford Fosgate speakers for good build quality and design. It will be fit on your car easily. So don’t worry about its quality. You will get average sound quality but best refreshment at this price. Maybe you not get a very good sound which will satisfy you. If you invest something more then you can get high sound quality car speaker. May you can check it. 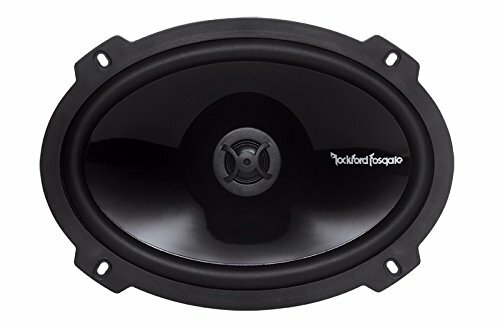 How Many Feature Has on This Rockford Fosgate p1 Speakers. The Flex Fit basket system makes it easily fitted speaker. 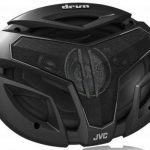 Dome tweeter and Butyl rubber surround deliver good quality sound. The rubber surrounds made by Mineral-filled & polypropylene who are able to long lasting and also you get a 1-year standard warranty. The Rockford Fosgate speakers P1692 have 60Hz – 22kHz frequency response with 91dB sensitivity, that means you get a good response. Some of the people are worried about their car audio installation system. But these speakers are very easy to install. So you do not worry about the installation system, you can do it yourself. All time I say to everyone that if you want to know more information about Rockford Fosgate p1 series car speakers. So You should go Amazon or need to search online. May you will get the right information. But The Rockford Fosgate P1692 speaker also good at the price. It is a good car speaker in cheap price, better than others. If you do not satisfy in its features, you can also read about best 5 Rockford Fosgate speakers. I hope that will make you satisfy and help to make a decision. Invest in a good speaker and listen to good music when you going to a long drive with your girlfriend or partner. We all know that JBL produces many High-quality car speakers. The JBL GTO939 6×9 speakers are one of them. If you looking more stylish and bold cool speaker for your car. There is no doubt that this jbl 6×9 car audio speaker is one of the best. Because here you get good stylish speaker but price not too high. That means best 6×9 car speakers for affordable prices. So Let’s see what features make the JBL GTO939 great. First things maximum people want from an ideal speaker that is a good bass. These co-axial speakers give you more bass with Carbon-injected Plus One cone. The one plus cones move more air and deliver more bass. The Soft-dome tweeters feature oversized voice coils ensure maximum heat dissipation and a smart power handling. Another important thing are volume, the gto939- jbl 6×9 speakers have a dual-level tweeter volume adjustment. You can control volume less, mid or high and be set to suit personal listening performance. It has Low-impedance, three-ohm speakers compensate and Dedicated 12dB/octave, high-quality crossover component that’s why you will get high quality sound as possible. If you want to upgrade your car audio system, now still looking speakers, Yes I have smart solutions for you. The Boss Audio ch6930 is the best solution for you. Because you will get a good car speaker who is very cheap. This speaker is good but not very good. If you want to high quality service from it, the wrong idea you will not able to get it. Read one or two number speaker details those are best 6X9 speakers and you will get high-quality service. But The Boss CH6930 6×9 car speakers have also some special features that make it the best choice. At first, we need to say about design. The combination of red and black give awesome looks. This speaker gives a long time accurate performance because it made by aluminum material, Poly Injection Woofer Cone, and Rubber Surround. Which will able to deliver the longtime good music listening experience? The sound of frequencies between 50 Hz and 20 KHz. The tweeter is high tech mylar tweeters. Boss Audio is one of the most popular brands in the world. because they always produce the great audio component. Especially their car audio component is very popular. 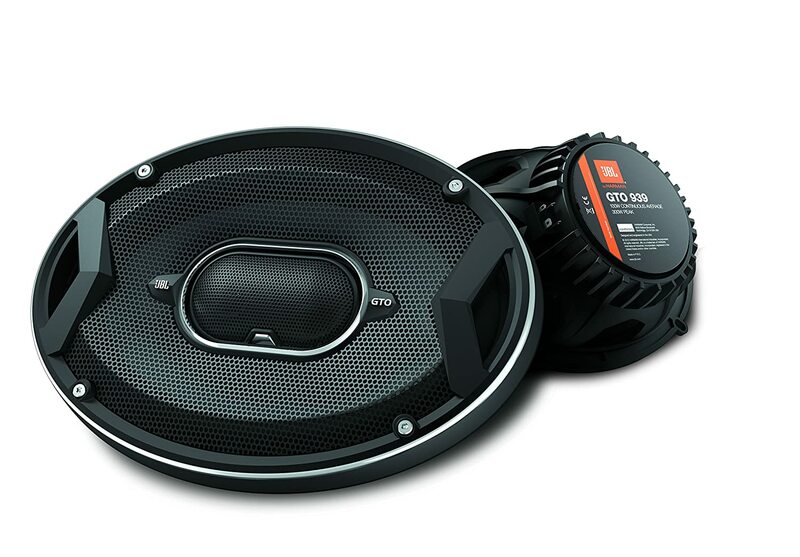 If you buy these Boss Audio 6×9 car speakers for your car, you will get high quality and a great speaker. You do not feel boring to listen to music with the boss audio CH6930 car speakers. The Pioneer TS-A6996S car speakers are one of the best options under $100. These pioneer competition 6×9 speakers offer the combination of high-quality audio and exceptional power handling. You will get overall high-quality sound, exceptional power handling, highest frequency response from these speakers. It’s able to provide smooth low and mid-range response with multilayered mica matrix woofer. The Pioneer TS-A6996S play a 20Hz to 20kHz tone, which spans human hearing. As a result, you will able to hear natural sound. These pioneer 6×9 speakers deliver lifelike sound with Lightweight Elastic Polymer Surround and Multilayer Mica Matrix Cone. It has also higher power handling capacity. We do not find more details about this speaker. If you want to know more about these pioneer 6×9 speakers. So please search on google or go to Amazon. Here you will find much more information about that. Because there are many people give their opinion who used this product. And you will get real information, what is the bad side and what is the good side of that speaker. The Pioneer TS-A6996S is another good selling car speakers in the market. You will get a good speaker with affordable price, actually maximum people like it for cheap prices. These pioneer competition 6×9 speakers are able to provide you with long-lasting performance in many years with accurate sound quality. So Don’t waste your time and own it immediately and be rocking with the TS-A6996S pioneer 6×9 speakers with deep bass. Most of the people upgrade their car speaker for great sound, hope also you deserve high-quality sound. 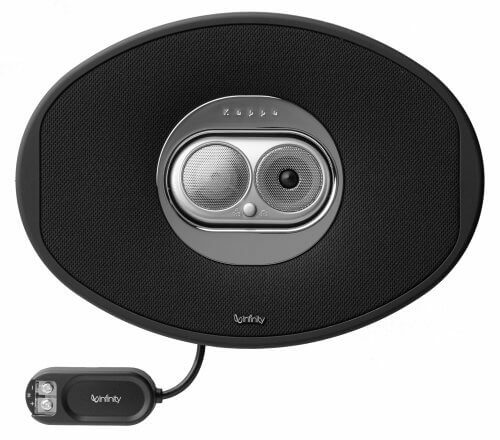 The Infinity 6×9 speakers especially Infinity Kappa 693.9i are able to provide the sound. These loudest 6×9 speakers have woven glass fiber woofer that makes it long lasting and also looking great. You are able to optimize high-frequency sound and you can adjust the tweeter to suit different location in your car because there is an adjustable tweeter. All of Infinity 6×9 speakers have plus one woofer cones and it able up to 30% accurate and exciting bass. The 2-ohm nominal impedance of the Infinity Kappa 693.9I is able to extract most of the power from any amplifiers. Infinity Kappa 693.9I offering rugged construction and impressive sound quality. It’s one of the loudest 6×9 speakers in Infinity brand. We assure you that if you invest money on these infinity car speakers you will a great audio speaker. You have not to worry in many years about it because it delivers accurate performance in a long time. If you want to upgrade your car speakers and looking to buy 6.9-inch speakers, then you should consider some things before purchase. The markets are fully loaded many types of speakers and it is very challenging to find out the perfect product for your car. If you cannot select right one then your money, efforts will lose. That’s why we took a step to write a guide about how to choose the best 6×9-inch speaker. Scroll down and read the major point. The Sensitivity refers to how much power requires providing excellent sound. Generally, High sensitivity requires less power and low sensitivity speakers need the higher power to deliver good sound. You should know how much power your stereo head unit or external amplifier put out. If you have a low power stereo system (Less then 15watt RMS per channel) then you need higher sensitivity (over 90dB). On the other hand, if you have high power stereo over 16 RMS per channel, the low sensitivity less than 89dB will best match. The power handling capacity that means how much power can handle your 6×9-inch speakers. I think high power handling capacity is better and of course measure in maximum RMS power because it refers your speaker continues basis power not a short period of time. However, 6×9 speakers with low power cannot handle lots of power. If your speakers are able to handle the power that head unit or external amplifier put out, you will get out most sound. The woofer materials should be stiff, yet lightweight such as Polypropylene with mica, yielding for delivering an accurate bass response. Woven fabrics, or synthetics coated with titanium or aluminum also lightweight and able to provide good bass. Which type of sound produce a speaker it depends on tweeter materials, so you should also consider the point. Generally, tweeter made of soft materials like silk, poly or textile blend but also hard materials also used as ceramics, metal or graphite. The surround allows a woofer cone to move freely, so it should me stand up to extremes temperature. If the surround made of rubber, it will more durable and provide the best performance. Also, Foam and cloth surrounds still perfume well and cost less. There are many brands who manufacture this type of speakers but less are good at all. The Most popular brand such as JBL, Pioneer, Kicker, Polk Audio, Rockford Fosgate, you can like from their series which suit your requirements. It is not perfect need to get all stereo components from the same brand including speakers. However, if you use the same brand component then it is easy to install and you will get natural and high-quality sound. What is a 6×9 speaker? The best 6X9 speakers are the best speaker which is made up of top-level materials. These are usually made from polypropylene cones and surrounded by UV treated ribbed. They have a durable voice coil which makes them interesting and long-lasting. As you know the market is occupied with a variety of car speaker, so it would be very difficult for you to give enough time to find out the appropriate and best 6×9 speaker for your car. It is a very common question that may arise from your side that how can you install your car speaker. just go through the following steps. Check the stereo system that you are going to install your new speakers on. Measure the dimensions of your previous speakers so that minimum modifications will be required to fit the new ones in it. Do not compromise with quality: Speakers ribbed with fabric cones are usually better than those with ceramic, and paper one. Be careful about electronic characteristics of your speaker. Collect your tools like a screwdriver, cutter, knife, electric drill, and tape. Disconnect your car battery without electrical damage. then test your speaker initially from slow to loud sound. A new set of the 6×9-inch speaker gives life back in your audio system. But installation is not easy, also small complex. If you can do it yourself, very good otherwise go to your nearest car repair shop and talk to the salesman. They can easily set up your speakers with little money. You can also watch the video to install a new speaker in your car. I the following post you don’t recommended which branded product is best for our car. If you say, it will be great for us. possible workmanship available, then check out Mad Hatter Auto Service, Car speakers service, Muffler and Brakes in Tampa, Florida. the Chevy Malibu, Saturn Vue and also the Saturn Aura among others. at high-volume dealers in major towns first. Hello blogger i see you don’t earn on your site. You can earn additional bucks easily, search on youtube for: how to choose 6.9 inch car speakers. I thinks it’s very difficult to choose right 6.9 inch car speakers. So You should give more details about it. and thanks for your good information. Could you say which 6.9 Inch car speakers is best for BMW Car?? I know that 6.5 inch car speakers is best for all sizes such as 6.5 , 6.1, 6.8 etc. 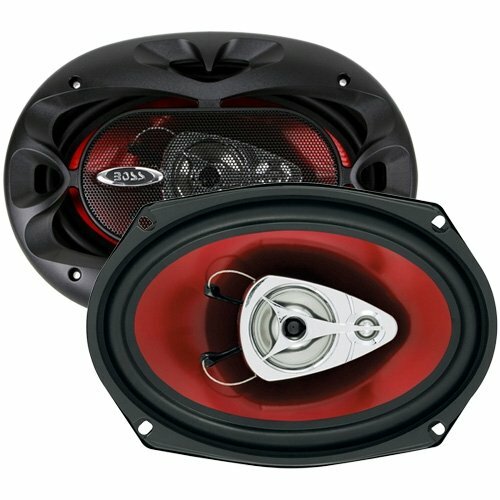 But i want to know that how i choose best 6.5 car speakers? I have noticed you write reviews about 6.9 Inch best car speakers. I read your full article and it good. thanks for your helpful post. Acutally I love 6.9 Inch Car Speakers. but was confused which is best?